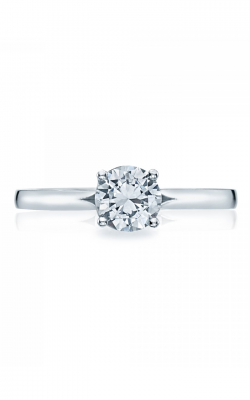 Solitaire engagement rings, also known as classic engagement rings, are the most iconic and traditional of engagement rings. Their simplicity and pronounced single, brilliant center stone allows the flexibility to be complimented by any and all wedding bands including those that are much adorned with paves of diamonds. 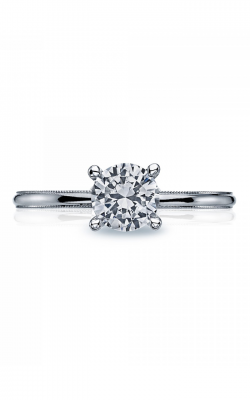 This ever-so-classic look, the solitaire engagement ring stuns with its vivid diamond encased in a smooth, traditional band or embellished decorated band, effortlessly matching any potential wedding band. Rumanoff's Fine Jewelry is an honored authorized retailer of Tacori, Verragio, and Fana solitaire engagement rings and offers an array of styles such as bezel and prong settings that wonderfully cradle precious center stone diamonds. 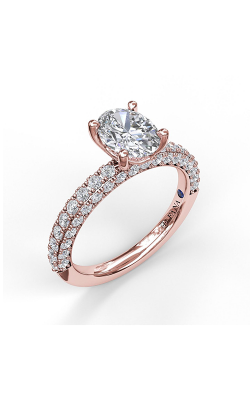 Rumanoff's Fine Jewelry has a variety of incomparable Tacori solitaire engagement ring collections such as Sculpted Crescent and among the extraordinary Verragio collection, their Parisian collection boasts critically acclaimed rococo style band designs. Also available, Leiberfarb solitaire engagement ring collections which include pave bands and 18-karat yellow and white gold. The Fana designs offer their Classic, Designer, and Vintage collection in 14-karat and 18-karat white, rose, and yellow golds. 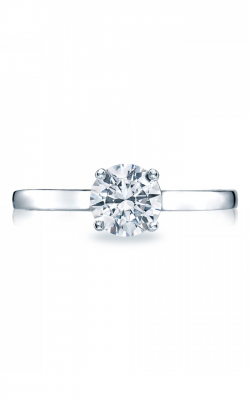 With all these options, the friendly and knowledgeable staff at Rumanoff's Fine Jewelry will happily offer their expertise to find the perfect solitaire engagement. These popular collections of solitaire engagement rings are available today at Rumanoff's Fine Jewelry's popular Hamden, Connecticut showroom. 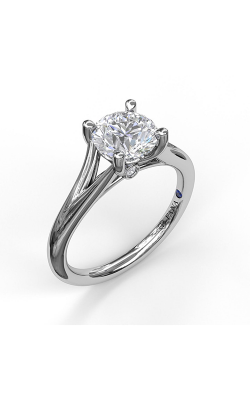 Why Shop at Rumanoff's Fine Jewelry? 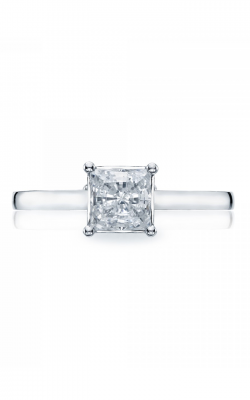 Rumanoff's Fine Jewelry is an authorized retailer of trusted brands such as Pandora, Hearts on Fire, Forevermark, Rumanoff's very own Signature Collection, and more. Since 1938, Rumanoff's Fine Jewelry has been supplying the New Haven, Bethany, Prospect, Meriden, and surrounding areas top quality bridal and fine jewelry items. Rumanoff's surpasses expectations and delivers their customers a gratifying and rewarding experience online and in store that lasts a lifetime. Rumanoff's Fine Jewelry sincerely supports clients in finding the perfect jewelry item and offers free lifetime cleaning and polishing, ring sizing, and 0% financing as well as lifetime diamond trade ins, and 100% money back guaranteed within 30 day purchases. Also, available at Rumanoff's Fine Jewelry is their expert and reliable jewelry and watch repair team that ensures a professional fix on your beloved jewelry item.